Keto Reuben Bagel - "New York Style" Low Carb Sandwich -Tasty & Tangy! This Low Carb Sandwich is our take on the famous classic, the Keto Rueben Bagel. 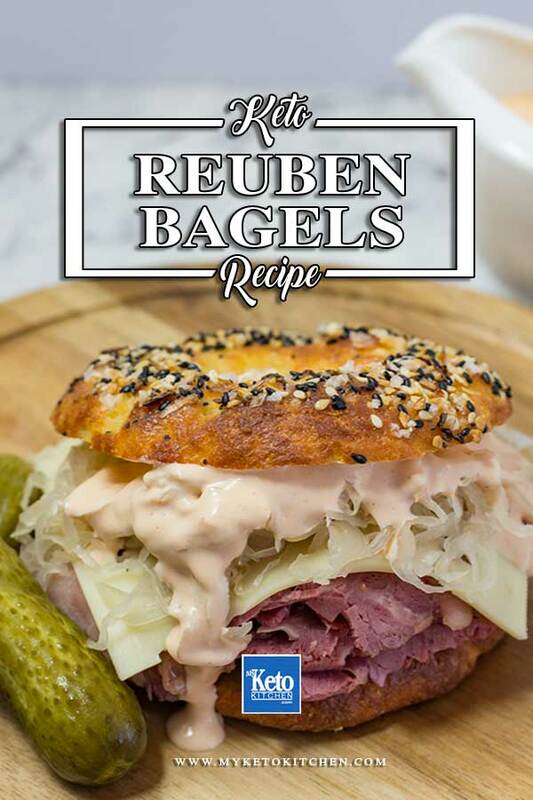 This delicious bagel is loaded with corned beef, swiss cheese, sauerkraut, and our Low Carb Russian Dressing. For a true Reuben fan, there is no better sandwich, we’ve helped you guys out by cutting the carbs with our Keto friendly version. That juicy, tender corned beef, finely shredded sauerkraut, topped with spicy, tangy Russian dressing – this bagel is messy dream come true! 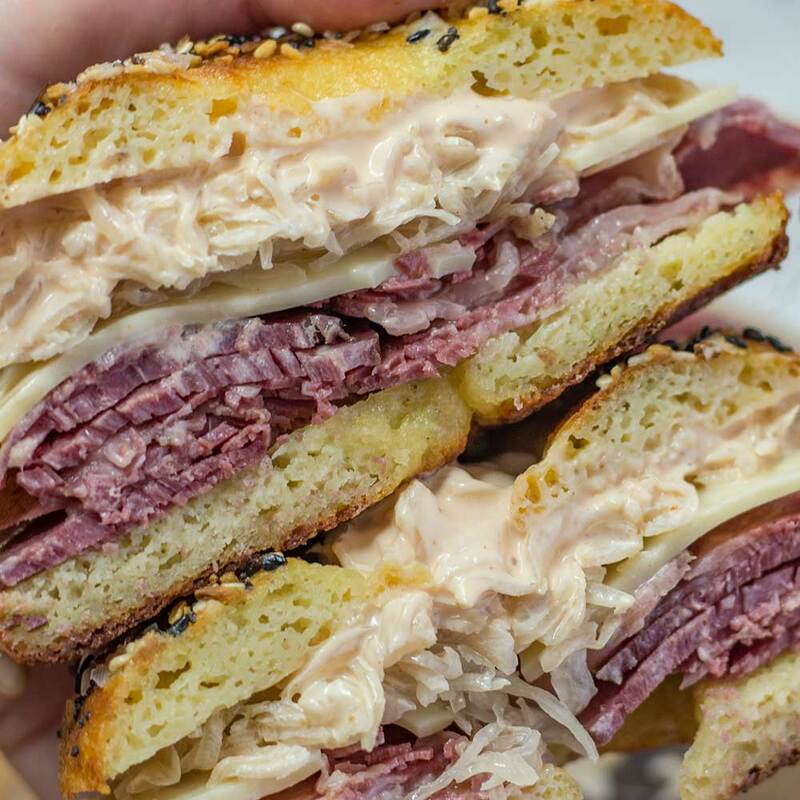 This Keto Reuben Bagel recipe makes 4 serves. 1 serve is one loaded bagel. We recommend eating the Reuben Bagels immediately, but the unconstructed sandwich can be stored in the fridge for up to 2 days. The Russian Dressing will last up to 1 week. 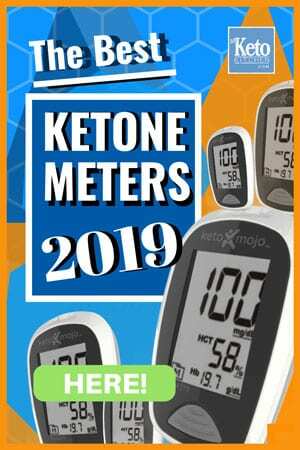 Split the Keto Bagels in half and load each with 3 ounces of warm Corned Beef, followed by a slice of swiss cheese and ⅓ cup of the sauerkraut. Pour over the Low Carb Russian Dressing. Top with the other half of the bagel and serve. This Low Carb Sandwich is our take on the famous classic, the Keto Reuben Bagel. 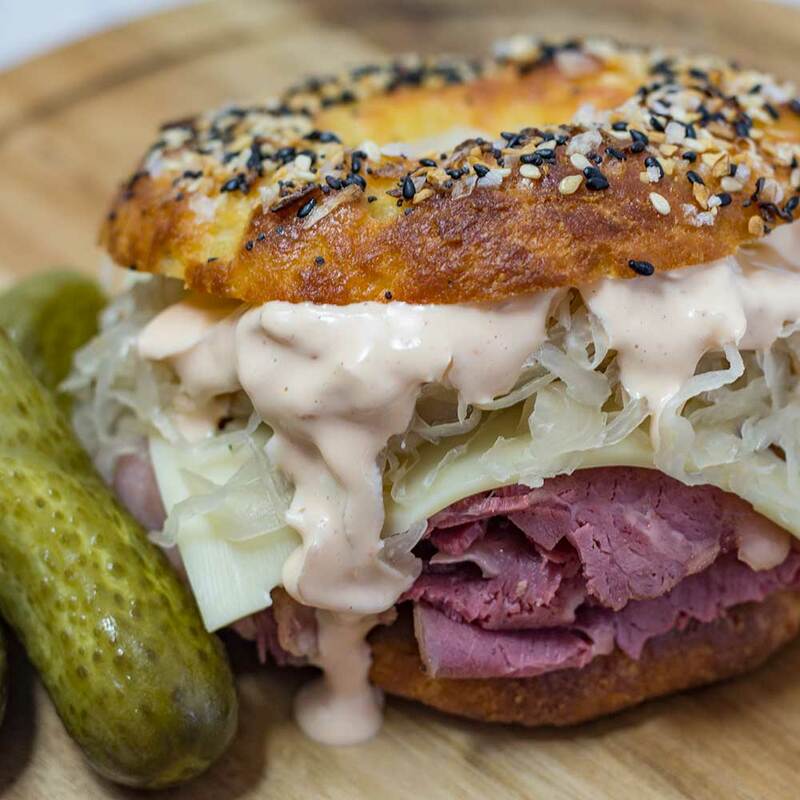 This delicious bagel is loaded with corned beef, swiss cheese, sauerkraut, and our Low Carb Russian Dressing. To make a larger batch of this Keto Reuben recipe adjust the servings above.